So you have company coming in an hour and the house is a mess? Or maybe you’ve just been putting off those chores and want to get it over with as quickly as possible. So, how do you clean your house fast? When I was in college I worked a couple summers as a hotel maid and house cleaner. I picked up a few tricks and I’m telling you that yes, you can clean an ENTIRE average size house in an hour but it takes work-and focus! No getting distracted while gathering up those old magazines, or checking your phone for the latest on Facebook. 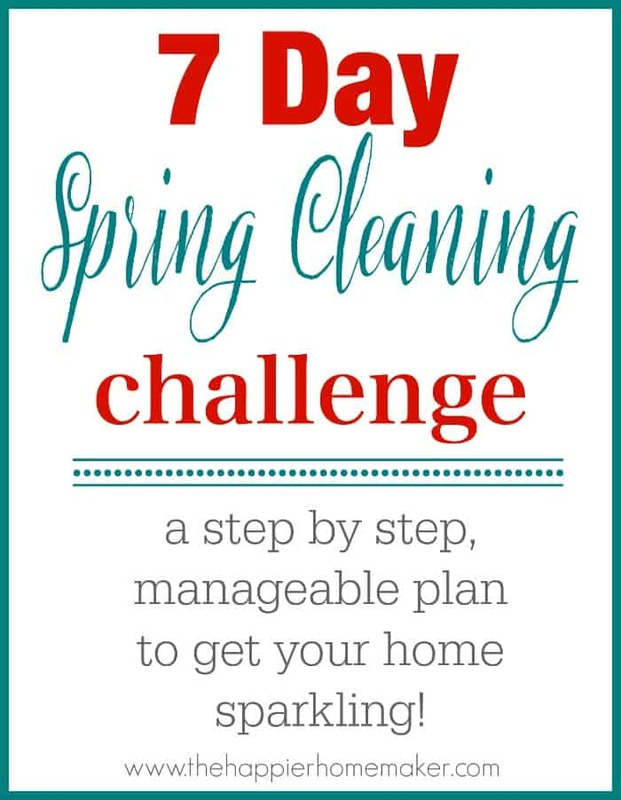 If you keep moving and follow this guide you’ll have that house sparkling in no time! Click here for your FREE One Hour Printable Cleaning Flowchart! How to Clean House Fast! No matter what room you’re cleaning, clean from the top down so that dirt and dust from higher surfaces falls on lower surfaces that haven’t yet been cleaned. Dust ceiling fans, then furniture wiping dirt directly on the floor. Clean all of the floors as your last step to remove the dirt and dust. Clear all clutter, if you’re in a hurry gather clutter in a spare basket or bin for later organization and tuck out of sight in a closet. Wipe down furniture with a dusting spray and microfiber cloth, working top to bottom. I like to clean all of my bathrooms at once-make a quick trip around all the bathrooms in the house to clear counters and spray counters and tubs with cleaner, allow to sit while you clean toilets and wipe down the outer toilet surface. Go back and wipe down counters and rinse tub then clean mirrors. Use an upholstery attachment and vacuum upholstered furniture. Load all dirty dishes in the dishwasher and fill sink with hot soapy water. If your stove top has removable burner pieces that need to be cleaned, place in water as well. Dunk sponge in hot water and squeeze out excess, wipe down cabinets, counters and other surfaces again working top to bottom. Rinse sponge in hot water as you clean-you’ll be amazed how much dirt comes off! Finish cleaning any stove pieces and replace. Clean floors last along with all hard flooring surfaces in the house. Vacuum, don’t sweep hard floors-use an attachment to get corners where dust and pet hair can accumulate. This helps prevent kicking dust into the air that will quickly settle again and aggravating allergies. Steam mops or Hardwood Floor Cleaners (this is my favorite) also make cleaning hard surfaces much faster than traditional mops, so I highly recommend investing in one of those to keep your cleaning quick! 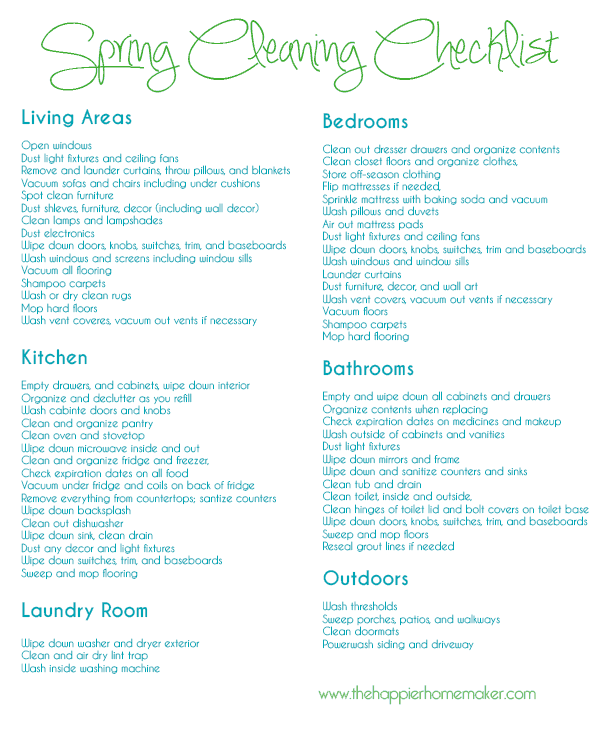 Want a printable version of this list to help you clean your house fast? Become part of our community for a subscriber-only Printable One Hour Cleaning Flowchart! Do you have any additional tips? This is obviously not a deep clean but a general day to day surface clean. 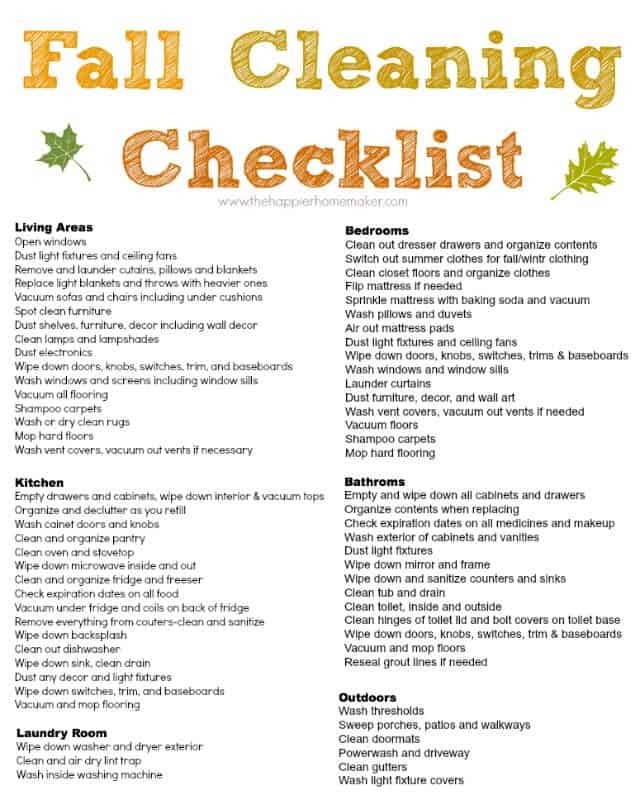 For deeper cleans check out my Spring Cleaning Checklist and Fall Cleaning Checklist, you can also see my Daily Cleaning Checklist if you prefer to work a little each day! Sign up for my FREE 7 Day Organizing eCourse-exclusively for my subscribers! « Bright Settings Tablescape Challenge! previous post: Bright Settings Tablescape Challenge! That is very interesting; you’re a very skilled blogger.Thanks for distribution knowledge regarding How to Clean Your House FAST. Thanks for posting this information! thanks for sharing this post it’s really informative. How amazing it is. It work too fast.Now I don’t have to spend more time thinking how many hours I’d spent cleaning my space. I’m going to go through this list now , and it should be even faster as I got the bathrooms done yesterday. Thank you for sharing your views with us, Keep up the good work! It is amazing what one can get done in such a short amount of time with a concrete plan and goal in mind. This strategy is probably most effective if one’s house is already been deep cleaned, right? Anyway, good post and motivation for those needing an extra push to get their homes shining! These are some amazing tips! I am very glad to find your post. As a mom, I don’t have lots of time to spend on cleaning that is why I calculate on doing a little bit of cleaning daily so I have a lesser amount of housework for the weekends! These are wonderful and very helpful tips that. Thank you for sharing them! Thank you for giving these ideas. 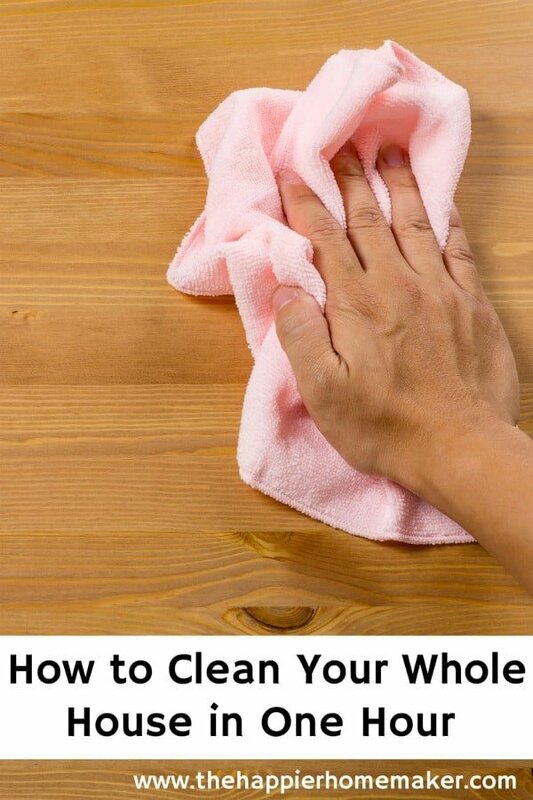 This is really a big help in cleaning in the fastest way. Cleaning is not an easy work. It’s a very stressful work. But i found your blog and i reading the blog. I get the great useful tips on this blog. I am happy with this tips. Great Blog! Great job! this was a great post! So True! these simple tasks will only take a few minutes each day yet will make a really big impact! These are really great tips and very helpful also. As it is very important to keep our house clean and make it free from any dust particles and garbage. An uncleaned house not only looks bad, but it also attracts pests to our house. Therefore, this gives us another reason to spend our time in cleaning our house. This is amazing. This is very useful for a busy person. Thanks! I really never knew that No matter what room you’re cleaning, clean from the top down. We hired a janitorial service for the office. Thank you for the tips on how to clean your home fast. Since we’ve been asked too many times for a referral of a house cleaning company. We decided, even though we are pool cleaning company, to add house cleaning into our service list. And let me tell ye, people love it! less of a hassle for them and more opportunities for us. thanks for sharing some really useful techniques, im sure ill find them useful real quick. I’ve never imagined house cleaning will a lot easier by following the tips and tricks mentioned in this post. Whenever I go for a house cleaning it takes a long time to finish. So, feeling good to find some tips that save time while house cleaning. very informative and intersting for those who are interested in blogging field. Wow. It’s great tips. It will help me. It will make my work easier. I love it. Thanks for sharing. Very valuable info. Cleaning is much more efficient if you pick one task (dusting, vacuuming, mopping) and do the same task in every room in the house, rather than cleaning the kitchen, the bathrooms and then the bedrooms. Thank you very much for sharing this nice post. Thank you so much for this useful information Melissa. I started a housekeeping company in January with my husband and we are always looking for more ways to be efficient and effective with our cleaning process. Your tips have been very helpful!